Follow my journey to becoming a professional writer - what I'm reading, the little writing activities I do, and the ups and downs. 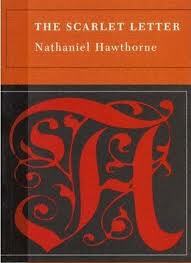 I cheated a bit with The Scarlet Letter by Nathaniel Hawthorne - I listened to an audio book whilst in the car. What hit me most was the language - magnificent. I love the old fashioned prose, and that way Hawthorne used description and metaphor. The other thing that struck me was the intensity, and this is partially created by the way the language is used. The characters' emotions are analysed and wound out through physical characteristics - their guilt and anguish is felt by the reader so potently because pages and pages are spent on developing the turmoil of the characters. In general, I am starting to prefer English/European classics rather than American classics. I am not very familiar with American history. But what this book did was remind me how long America has been settled and what their beginnings were like. This book is based in the 1640s! I tend to forget that there was much settlement in America before the American revolution. Even then, America seems to become what it is today after the American civil war. This book just shows what a different place American was a few hundred years ago. The conservatism and extreme religious beliefs/views made me think about how different society was then and is today. It also highlighted the stark different between Australia's origins which were rough and founded with convicts, whereas the American settlement seemed to be extremely conservative. Two countries born fairly recently out of extremely different origins, and yet converging in so many ways in modern times.